In this compilation, the authors explore novel strategies for enhancing efficacy of SAHA in combination with other anti-tumor drugs. Although SAHA is used against various types of cancer cells, it still does not show high efficacy as a monotherapy against solid tumors, therefore new strategies must be explored for induction of growth arrest, differentiation, and apoptosis in different preclinical models of glioblastoma. The authors go onto address motion-induced blindness, which occurs when a stationary foreground pattern is not or only partially perceived due to a moving background pattern although it is not obscured by the moving background pattern. Two studies are presented which illustrate the motion-induced blindness and spinning dancer paradigms. This book also examines childhood maltreatment, the most frequent form of trauma during early childhood. In people exposed to maltreatment in childhood, numerous neurobiological changes have been found, primarily in the neuroendocrine systems activated by stress, which include the function of the autonomous nervous system and the hypothalamic–pituitary–adrenal ax. Continuing, this book summarizes and discusses the findings of existing literature characterizing the normal biomechanics of the tibial nerve and comparing the normal biomechanics of this nerve against its biomechanics in the presence of pathology. This is done by synthesizing existing evidence on ultrasound applied in the study of different pathologies that can affect peripheral nerves, as well as the development of new procedures and technologies for a better nerve biomechanics characterization. A chapter is included which discusses the role of functional neuroimaging for research on ICDs and disinhibition in Parkinson’s Disease. Significant neuropsychological and neuroanatomical data is analyzed, focusing on the concept of “motor impulsivity” in terms of “disinhibition of prepotent responses”. Later, the authors present a study with the goal of making an accurate cell quantification of retinal ganglion cells by comparing two types of retrograde axonal transport in RGCs. 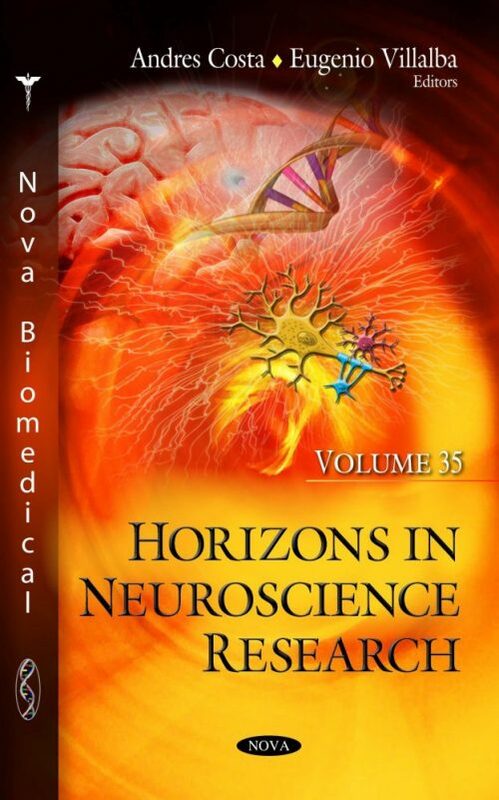 The basics of neurobiology and neuropsychology, learning processes and forming of neural connections to the brain are presented. The current knowledge of vessel wall MRI in the assessment of intracranial aneurysms is also reviewed. This new technique offers the potential to assess both ruptured and unruptured aneurysms at the level of the wall and underlying pathology that has hitherto been impossible to do with standard luminal imaging techniques such as angiography. The concluding chapter summarizes the current knowledge on the timing, risk factors and management of aneurysmal rebleeding, as there remains significant controversy regarding the risk factors, pathophysiology and optimal treatment to prevent rebleeding.